Will This Be Ant-Man’s 1960s Look? Filmmaker Edgar Wright has used his photo blog to tease two miniatures of actor Michael Douglas from the upcoming “Ant-Man” film, miniatures that suggest the character will don the original costume that first appeared in the original 1962 comic. 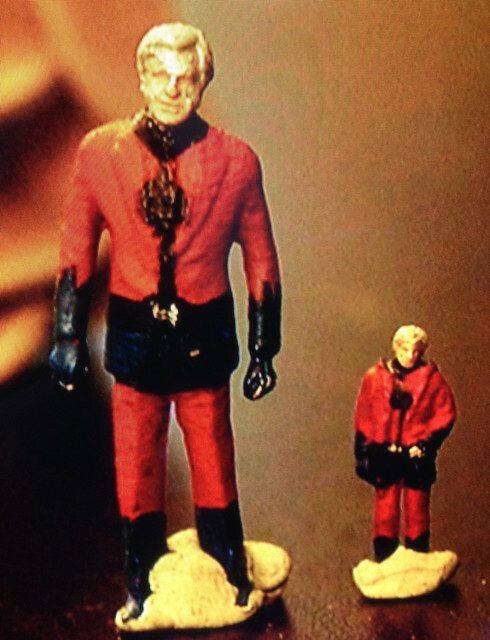 The photo showcases two figurines wearing variations on Jack Kirby’s original Ant-Man costume. This would seem to give weight to rumors that the film begin in the early 1960s where we’ll see a younger version of Douglas’ Hank Pym character as a spy fighting communism. Paul Rudd’s Scott Lang eventually takes on the mantle in the present day. Of course Wright could be playing with us, so we’ll have to wait and see. Next articleXbox One Future Plans Leaked?